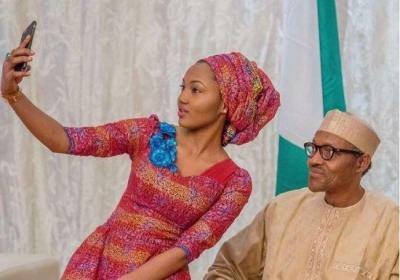 Following the president’s return to the country Yesterday after staying on medical leave for over 100days abroad, his daughter, Zahra Buhari-Indimi has asked Nigerians to pray for those who wished the President dead. Zahra shared that some people wanted to eliminate the President but God’s grace surpassed them. “Cheers to the strongest man I know. Alhamdulillah! Lol! “This Life Is So Sweet” – Kcee Says As He Gets Cozy With White Lady.